The punishment is the latest success for the security system installed as part of the £1 million Lottery-funded Big Local project in North Ormesby. Over the last two years more than 30 cameras - including two ‘talking' cameras on the market place - have been installed in partnership with Middlesbrough Council, a total investment of more than £90,000. The CCTV system is monitored around the clock from the Council's central CCTV control room at Middlesbrough Bus Station, with Police and Council staff able to access footage. And on November 19 last year, the system proved its worth when a removals van was picked up pulling into Stainton Street. 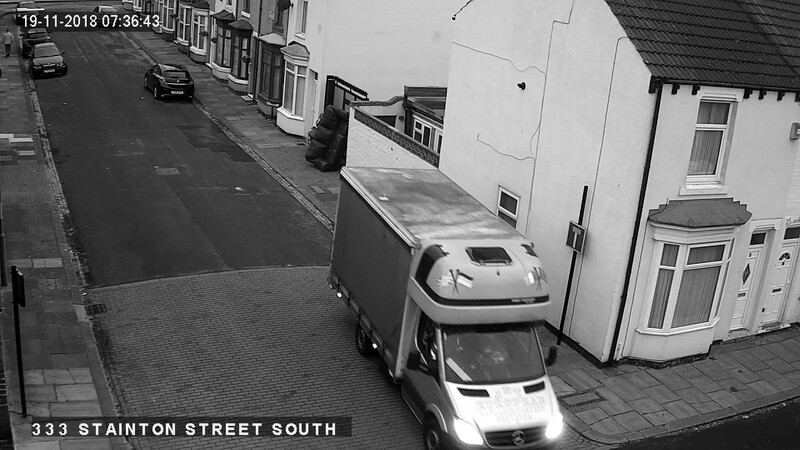 The silver and red vehicle - with the name JDT European LTD on the bonnet - was seen parking up, before the driver got out and dumped a black leather three-seater sofa against an alleygate. The registration plate of the vehicle was clearly visible, enabling Middlesbrough Council Environmental Enforcement Officer Chris Bacon to trace the Southampton-based company. Following unsuccessful attempts to contact the company, a £400 fixed penalty notice was issued under the Environmental Protection Act. With no payment forthcoming, the case was brought before Teesside Magistrates who fined the company £5,000 and ordered them to pay a victim surcharge of £120 and costs of £382.50. Big Local Development Officer Karen O'Hara said: "The CCTV system is not just a great deterrent, it's also helping us catch those who think they are above the law. "Our aim from the outset was to cut crime and increase public confidence, and cases like this show exactly why law-abiding people are fully supportive of our approach. "This case shows that those committing crime and anti-social behaviour on the streets of North Ormesby will be caught and brought to justice."